Jimmy Barnes needs no introduction. After 40 years on stages of all kinds, Jimmy is an icon – his nickname “Barnesy” conjures up thoughts of rock music at an ear-splitting volume, and of soul standards given a unique reading. Jimmy has been through it all, and lived to tell the tale which has earned him a place in Australia’s heart and heartland. Along the way he has sold more records in Australia than any other domestic rock & roll artist, and has had more #1 albums here than anyone else, including The Beatles! And as the book was being read right across the country, Jimmy also announced his first ever ‘spoken word’ tour. 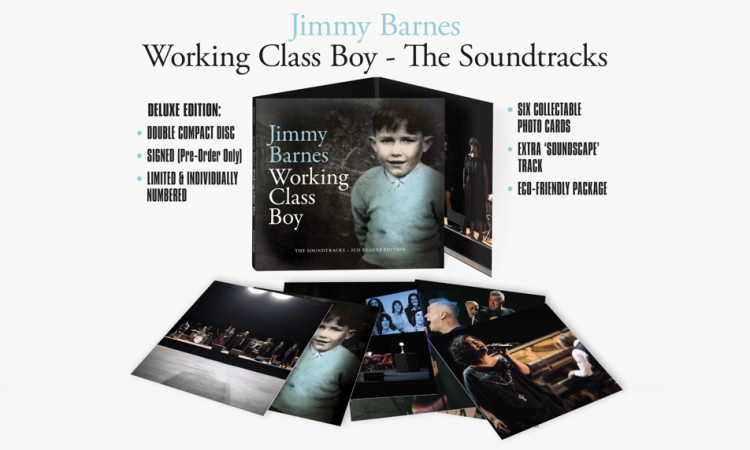 Working Class Boy: An Evening of Stories & Songs saw Jimmy leaving behind the arenas and rock gigs where he’s blazed a trail for decades, instead telling his life story for the first time on theatre stages right across Australia.